Welcome to our website. We hope you find all the information you require. You can order a repeat prescription or cancel and make appointments online by selecting Online Services at the top of the screen if you have signed up to use your Online Account at the Medical Unit. The way prescriptions are ordered is changing. From 30th June 2019 you will have to order your repeat prescriptions directly through your GP practice, and not through high street or internet pharmacy or appliance contractor. If you already order repeat prescriptions directly through your GP practice this will not affect you. When you order your repeat prescription directly through your GP practice, your pharmacy will continue to collect or receive as before. Pharmacies may also continue to deliver your prescription as before if they offer this service. Alternatively, you can drop off or post the tick slip, which is the right-hand side of your prescription which lists your current repeat medication. Tick only the medication you require and hand this in or post it to your GP practice. If you don’t have your slip please put your request in writing listing the medications you require along with your name, date of birth and a contact number. 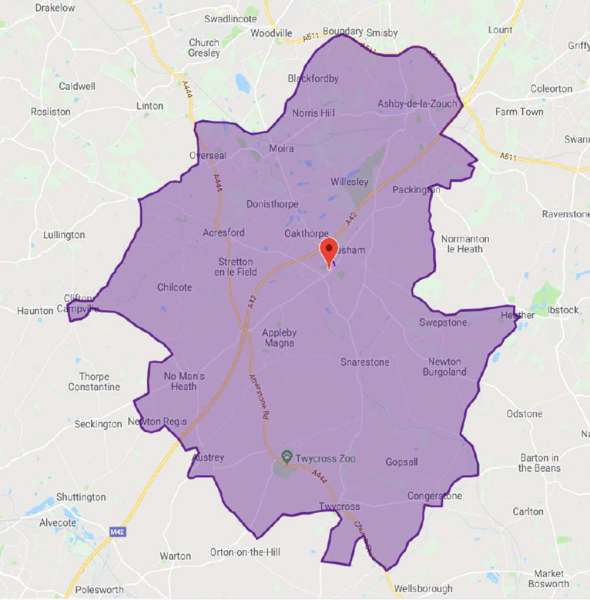 In order to allow patients increased choice of GP Surgery access; we have extended our boundaries to accept patients from Ashby-De-La-Zouch, Blackfordby, Moira and some parts of Overseal. This is with the agreement and to support a neighbouring practice. If you are registered with a GP practice in England you will have a Summary Care Record and therefore will be able to sign up to an Enhanced Summary Care Record, unless you have previously chosen to opt out. This can include details of illnesses and health problems, past operations and vaccinations, treatment preferences, information about the kind of support needed, and who should be contacted if more information is required. Staff in hospitals do not routinely have access to individual’s GP medical records. By consenting to an Enhanced Summary Care Record we can all help hospital staff treat us more quickly and effectively. It only takes a couple of minutes to complete the form but it could end up saving your life. Please encourage your family and friends to sign up too. You can download the consent form here and then return the completed form to the Medical Unit reception. This can help the staff involved in your care make better and safer decisions about how best to treat you. We are currently experiencing issues with our Telephone Lines. This is an ongoing problem, which we are trying to solve. We apologise for any problems that you may have when attempting to contact the Medical Unit, we hope to resolve this issue as soon as possible. When attempting to book an appointment to see a GP/Nurse Practitioner, you may have our receptionists ask you questions in an attempt to signpost you in the right direction to avoid any unnecessary appointment bookings. Often patients ask for an appointment with the GP/Nurse Practitioner when sometimes another Health Care Professional or source could deal with the problem more appropriately. We would like to give Dr Dawes a warm welcome. He has now joined us on a permanent basis and will be working at the Medical Unit on Mondays, Thursdays and Fridays. Saturday 9th February 2019 will be the last day the Dispensary is open on a weekend. It will no longer be open on a Saturday morning from thereafter. To book an appointment, please call the Medical Unit on 01530 270 667. You may be able to get an appointment on the same day if required. Depending on your individual circumstances and symptoms, we may offer you an ‘extended access’ appointment. Please note however, that these appointments will not be in your usual GP practice and may not be with one of your usual GPs or nurses. We are looking for a cleaner to join our team of hardworking Cleaning Staff. If you are interested, please send your CV & Covering Letter to Tracey Lidgbird, Practice Manager.